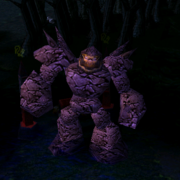 Dota 6.65b | Dota Allstars 6.65b will be the upcoming map of Dota if any major game-breaking bug occurs in the current release (Dota 6.65). It is very rare to have bugs in DotA maps because they go through very strict beta testing phase with IceFrog & his beta team. Dota 6.65 is a stable release so far and no major bugs have been reported yet. We've created this page to give you news & updates if there is any chance of DotA Allstars v6.65B release. You may subscribe to DotA-Utilities to get latest updates on your email inbox. I strangely enough have only chinese version? Everytime I play a game, my computer freezes, why? there might be no bugs but there are still imbalanced heroes...look at slark...IMBA KAYA SIYA!